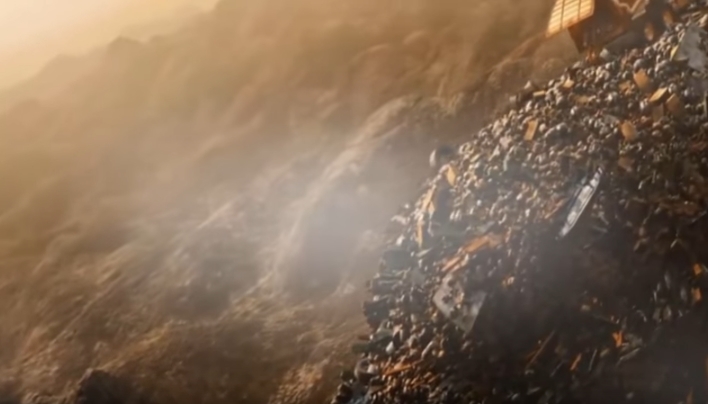 (Natural News) If you’ve ever seen Idiocracy, you’re probably familiar with the “Great Garbage Avalanche of 2505.” Unfortunately for the real world, garbage avalanches have already started. It seems we’ve got a 500-year head start on making the dystopian world depicted in the film a reality. If we’re actually honest with ourselves, it’s obvious that the would-be joke movie is a startling mirror image of the direction our society is headed in. Slightly exaggerated, perhaps — but sadly becoming more accurate than not. Sri Lanka’s capital city, Colombo, was devastated by the collapse of a garbage mountain with a height in excess of 300 feet in mid-April. After four days, local authorities were reportedly forced to close down their primary dump along the northeastern corridor of the city. The collapse resulted in a massive landslide of rubbish that wiped out 145 homes and took at least 30 lives. Hundreds of troops were still looking for missing people days after the accident took place. The hope of finding survivors began to wane after four days of searching through the rubble, officials said. Six people have reportedly been missing since the garbage avalanche occurred, and some reports say that up to 100 people were trapped beneath the landslide of mud and rubbish. According to NBC News, authorities are having a hard time determining the exact number of missing people. Now, the president of Sri Lanka, Maithripala Sirisena, has banned anti-garbage collection protests. Anyone caught trying to prevent city authorities from conducting garbage collection and disposal reportedly faces prosecution and an indefinite period of jail time. “Any person who by word or deed causes a disruption of garbage disposal will be guilty of an offence [sic],” the presidential order declares. Authorities say that they are disposing of garbage in alternative locations, but is that really going to be enough to combat this growing problem? While city officials from Colombo say that they will be finding new locations to put their rubbish, the issue of garbage accumulation is far from over. And it’s not just a Sri Lankan concern; garbage is a global issue. Putting waste in another part of the city or country is merely a temporary solution to a long-term problem. The garbage landslide in Sri Lanka is likely just the beginning. The UN says that public waste systems are already having trouble keeping up with expansion, and that the waste-producing trend seems to have no bounds. The global trash problem brings many harmful effects, though they are not all as clearly visible as a 300-foot trash mountain. Damages to the environment, human health and safety will be the outcome of our immense production of waste. Nothing is without consequence, and the rate at which humans are polluting the earth will certainly come with a hefty price tag.